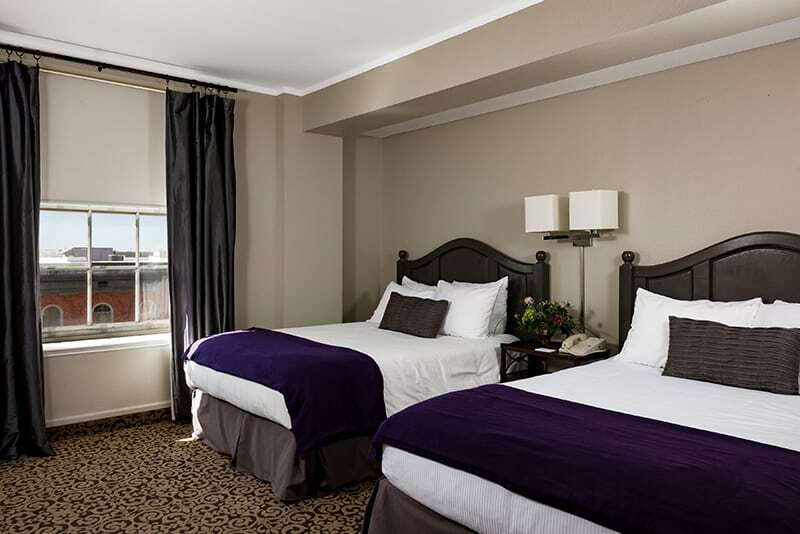 The Deluxe Double Full room is decoratively-appointed with generous amenities and features and complete with two full beds and one bathroom. Unwind in the provided bathrobes and surf the web using the room WiFi. Watch your favorite shows on the flat-screen television with cable/satellite, take advantage of our complimentary room service, and enjoy the bathroom with an included shower above the tub.